Let us transform your shopping experience. 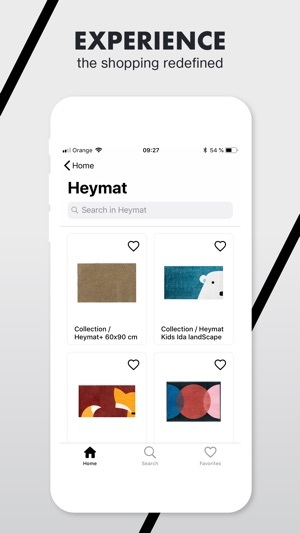 This application allows you to preview our Heymat rugs and carpets from the comfort of your home. 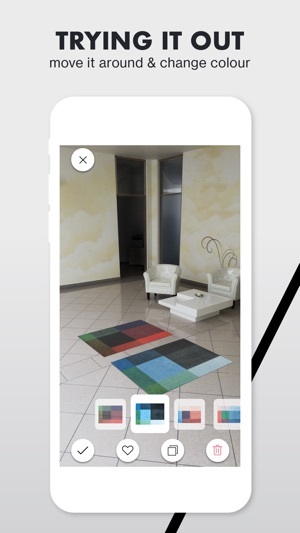 Try all the different color variations and sizes in the space of Augmented Reality with just a few swipes on your device. In the description of each product you are able to find all the information about size, materials, color, etc. and you can also click the button "Visit website" which is going to take you right to the online store.